The Cognex In-Sight Micro is the world�s smallest, smartest, easiest, and all-in-one vision system. Small in size (30mm x 30mm x 60mm), but big in performance, In-Sight Micro users have a full range of models. Vision systems are available for both general purpose applications and ID only models all with a range of performance and resolution. Axis is the authorized Cognex distributor for Northern New Jersey and New York. 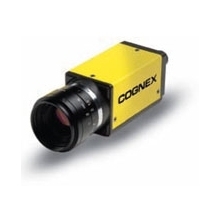 Cognex is the world's leading supplier of machine vision sensors, or computers that can "see". Our machine vision sensors gauge, guide, inspect, count, and identify products on the fastest production lines.